Will it portend massive turmoil for the US? Most everyone knows, or they should by now, everything comes in cycles, especially economics. Many factors affect these cycles. We used to say we have a free market but in reality, we do not. Our “Fed” affects our cycle by raising and lowering interest rates, artificially controlling the money flow. However, we all know we can’t continue to spend money we don’t have. If any of the “New” Democrats get elected in 2020, they plan on spending a lot more money we don’t have which will mean much higher taxes, lower employment and disaster…but wait. We may not have to wait for another Socialist-Democrat to break the bank. [Rumor has it Karl Marx is being resurrected to run] Financial breakdowns taking place in Japan could easily mean a breakdown in Europe and eventually in the United States. If we have learned anything from history, this certainly doesn't look good. It's easy to make the case that a recession is coming sooner rather than later. Earnings are growing, and businesses aren't borrowing as much. Still, with a debt-to-EBITDA ratio around 3.4 at the end of the second quarter, corporations are more leveraged than they were during the financial crisis, second only to when the ratio spiked to 4 during the tech boom of the early 2000s. It's important to note that many companies haven't needed to issue new debt because of the savings they received from the recent tax code change. The China Shanghai Composite Index began crashing one year ago. It plunged to new 5-year lows last September. (Bloomberg) -- The world’s biggest pension fund posted a record loss after a global equity rout last quarter pummeled an asset class that made up about half of its investments. Japan’s Government Investment Pension Fund lost 9.1 percent, or 14.8 trillion yen ($136 billion), in the three months ended Dec. 31, it said in Tokyo on Friday. The decline in value was the steepest based on comparable data back to April 2008. Domestic stocks were the fund’s worst performing investment, followed by foreign equities. Ever since the European Union was formed in 1979, the entire continent has been drowning in a sea of debt [its socialist policies of unlimited health care, free college, welfare, etc. especially to millions of refugees that swarmed the continent]…of the 28 nations in the EU, 19 are mired in deep debt despite repeated bailout attempts. The people of Spain, for instance, would have to pony up ALL of their annual income in taxes just for the government to break even! According to the New York Times, “the EU could dissipate faster than even its detractors could have dreamed.” Is it any wonder the Brits voted to get out of it? The euro has lost value [each time I’ve gone there I get more bang for my US dollar]…at its peak in 2007 it was worth $1.59-in Dec. 2018 it dropped in value to $1.13! 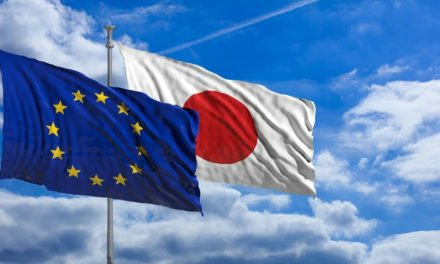 I believe the EU will break apart in 2019 and the first financial wave will hit Japan. After the United States and China, Europe [see above] is Japan’s biggest trading partner. When that nation sends cars, cameras and other goods to Europe, it expects to get paid. If they don’t, or if they get paid in worthless euros, the fault lines in Japan’s economy will widen [Think about why the Fed prints the dollar in overtime and pays its national debt in the same fashion…each year our dollar is worth less and less, citizens have much less buying power…the Fed steals from American taxpayers in this fashion]. The national debt in Japan is even WORSE than any country in Europe, including Greece or Spain-it has the biggest deficit in the world: more than one quadrillion yen. That’s more than two and half times their entire economy. They continue to add to their debt at about 96 trillion a year but because they still have a strong manufacturing base [something Trump has been trying to restore in America] and healthy trade balance and as long as Europeans continue to purchase Hondas, the Japanese are able to keep their Ponzi scheme afloat. But Japan has a second problem that is faces and its populace is not dumb [unlike many Americans]…they know their debt is not sustainable. They know their pension plans and social security system is at risk [we’ve posted many warnings here about at-risk government pensions for nearly EVERY state] so many citizens have been hoarding money at alarming rates, decreasing the amount of cash in circulation in the economy. Citizens in Japan are savers, unlike Americans, and were aghast at those who were struggling after missing one check during the government shutdown! However, the Japanese have suffered through four recessions in a row since 2008 and as a nation this makes them less likely to get out of debt as they print money in hopes of stimulating their economy just as the Fed did here. When the euro falls, it will take the yen with it and when that happens…there is only one country that is in worse shape than Japan [and the majority of its citizens are in worse shape as they are not prepared for any kind of emergency]…THE UNITED STATES! We have the most debt at $21 trillion but if you include what the government owes its veterans, Medicare/Medicaid recipients [or what the ‘New’ Democrats are promising] and our debt comes closer to $127 trillion! The Fed and the government have no more ‘rabbits’ left to pull out of their hat for rescues…they’ve lowered interest rates, they’ve pumped cash into the banking system in exchange for bonds and securities [fewer nations are going to be interested in buying them if Europe and Japan are in the toilet]. Global bond markets and investors will start to dump US Treasury bills no matter how high the interest rates go. Pensions and annuities that millions depend on will vanish overnight. Without reserves, the government will have little choice except to lay off its massive 2.7 million workforce…so will state and local governments. No more food stamps or welfare handouts. There will be rioting as generations of families accustoming to living on ‘dole’ will revolt. The government will use force to secure public order. It will steal private pensions, private food hoards and more and redistribute supplies to the masses as most Americans have forgotten how be self reliant, how to even plant a simple garden…gangs, who already have guns, will roam freely, robbing citizens who have been stripped of their gun rights by politicians and anti-gun activists. My grandfather left his home in Poland several years before Hitler achieved total power and came to America. Once he saw that Hitler was restricting gun ownership in Germany, restricting how much money citizens could carry or take with them outside of the country when traveling, when documents were needed to travel within their own country, when it became ‘politically incorrect’ to speak one’s mind on many subjects…he got out of Dodge! My deceased mother-in-law who lived in Germany during the war had said the same thing [before she passed] about the growing restrictions here, the complete lack of privacy and the need for a Social Security number to do everything, passport requirements just to visit Canada and more…she worried about what was happening in America. Some financial gurus are forecasting this will be the last and fastest run-up in stocks we’ll see in our lifetime and the Dow will likely hit 45,000 by 2020 even with Trump’s trade war with China [which should be a clear message to US manufacturers: make goods in this country…my political science professor and economics professor both agreed on a simple maxim: Once a nation stops producing goods, that is the beginning of its decline]! Personally, when I figured out the economy was going to tank in 2008-09 I warned all of my readers and friends to get out of the stock market, get out debt, and to buy small farms and to load up on silver and gold. Those who heeded my advice were happy. Several of us unloaded our portfolios and high-end mortgages and placed our cash into small farms…we bought one outright-no mortgage and its value continues to increase! If you do keep money in the stock market, and keep in mind I’m not a stockbroker or financial advisor so always take my advice with a grain of salt…but here’s what I tell my own family. Stick with basic, proven winners that include: firms such as Hershey Chocolate, Wal-Mart, Dollar General, Green-Dot Pre-paid Mastercard, precious metals, and defense stocks which are geared to hypersonic research and computer/espionage technology. In case that happens, there are many unusual methods to protect your family and valuables--methods that don't involve moving out of your 3-bedroom house and into a fortified castle. Some credit card firms are such as Discover Card say they are reducing credit lines and in some cases closing inactive cards due to uncertainty about the how long the US economy will stay strong before a downturn makes it harder for card users to pay their bills. Meaty material-gives me a lot to think about. 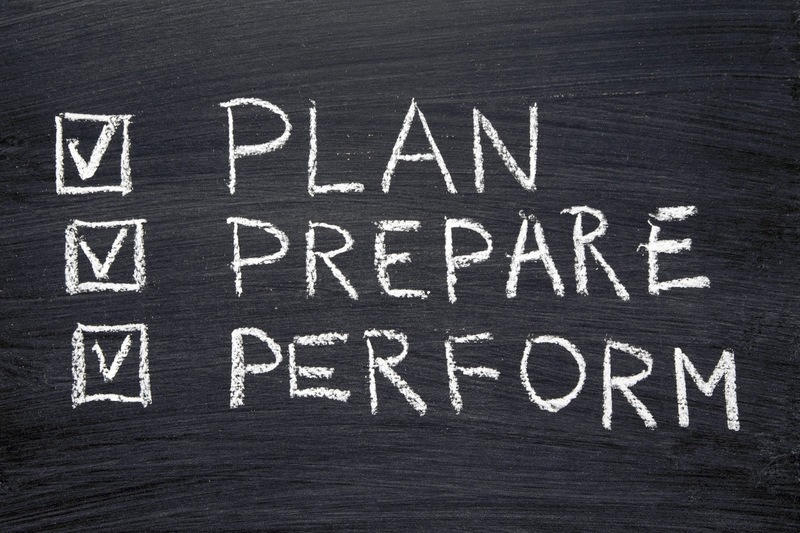 I do believe America and the world is headed for some seriously challenging times and your article seems to indicate a means of warning readers who to read the signs and how to prepare better-thanks. In the Land of the Free, the average checking account now pays just 0.06% interest, while the rate of inflation is hovering around 2%. You sure won't see this on CNN! Thanks for this post.